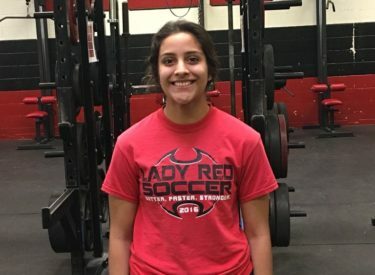 Liberal soccer player Gisselle Melendez is the Hay Rice and Associates Athlete of the Week. Melendez scored a goal in Liberal’s 1-0 opening win over Dodge City last week. LHS is 2-0 and plays Wichita East Tuesday in the opening round of of the Wichita South Titan Classic. Melendez has signed to play soccer at Barton. Gisselle is active at Liberal High School. She is co president of NHS. She is co-editor of the Mirage yearbook. She is also is student union and leadership class. She ran cross country the past three falls.